It has been brought to our attention that key individuals who are working swiftly and very hard behind the scenes for planetary liberation had been specifically monitored and targeted with influences that has created instability within their every day family lives. This kind of interference can come from anywhere, whether it be through an energetic attack through a boss that relieves the individual or a family member from their job to provide for their family, electronic interference to slow down key works to assist people around the world in a larger scale in the awakening and disclosure process, health problems in association with scalar weapons and any other ways that is being tried in creating separation among loved ones. There are so many, and we are sure you have had some of your own very bizarre experiences that is not in a vibration of love. Many are trying their best to stay in the highest vibration as possible regardless of these interferences, although it does have an effect on their hearts and deeply saddens all to witness this. Many are having a hard time to even support their fellow light-workers and warriors as these brave souls are some of the best healers and starseeds who are now here on the planet to bring all into a state of Wholeness. An initiation to support our fellow brothers and sisters in the Light is now brought forth to support all who are in desperate need of support. This initiation holds abundance and light through all with assistance from the higher planes and Saint Germaine. This is NOT the prosperity funds, although it is a call to all out there who are able and willing to support all who are working very hard for planetary liberation. 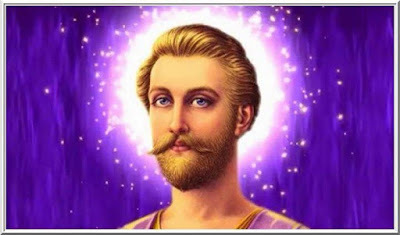 We wish to speed up The Event and thus speed up the abundance for all starseeds, light-workers and warriors! Your support will help to donate to all who are in need to help speed up this process. Our mission is to awaken the 144,000, to bring Love, Harmony, Freedom and Peace as well as Abundance to all in this solar system. May this mission be blessed in the highest light for all and Victory of the Light! Also, you can manifest abundance in your life with the following information, which is a personal notes taken by Peter Reed during the Ascenion Conference in Taiwan last April. According to Cobra, these tools alone are enough to resolve your financial situation if you will take time and effort to implement them. The following document can be helpful in manifesting abundance as well. This is so well put together thank you so much! !